I'm happy to announce that work has begun on my very first video game! This game is called Dawn of Neon, and is my first project to utilise the Expanded Chromaicora tagline. 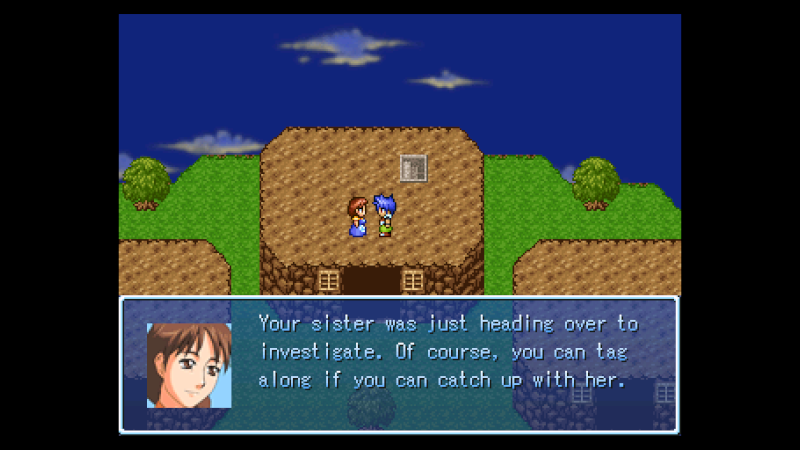 The setting for this game is Marlina, a world on the fringes of the Chromaicora multiverse. So far, I've constructed a simple village in a starting area; this settlement is known as Morndew Village, and boasts three residents. 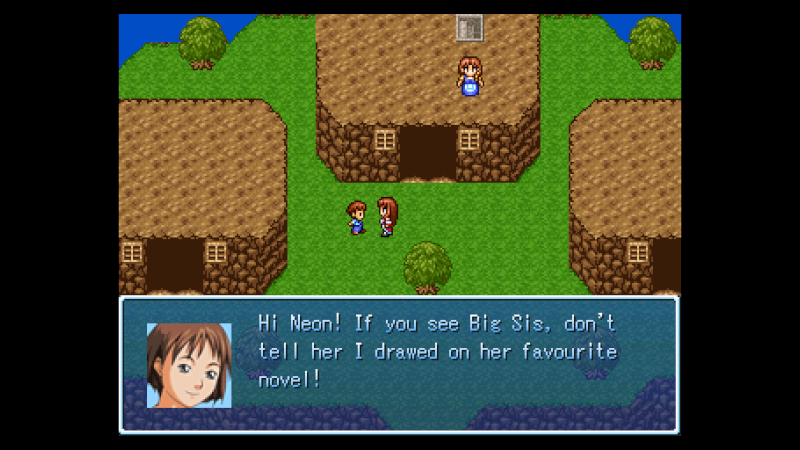 I'm using RPG Maker 2003 to build Dawn of Neon, for that classic 16-bit RPG feel. More details to come! 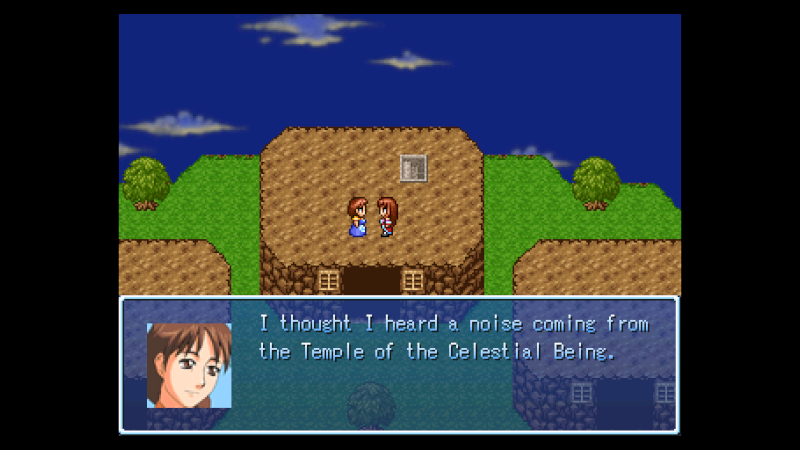 I've made some progress on the game, beginning work on constructing the prologue area: Celestial Spiral Isle. 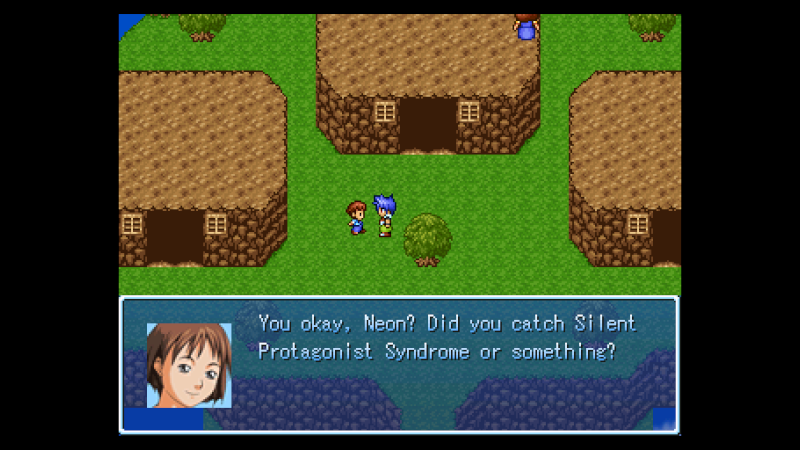 It is here that the protagonist, Neon, begins his/her quest. That's right: you are able to choose between playing as a boy OR a girl! In either case, Neon is a budding warrior who was training to become a Celestial Spiral Guard...until something caused Neon's plans to go pear-shaped! It's time for another quick update. Celestial Spiral Isle is starting to take shape, with Neon's house completed and his/her family members defined. 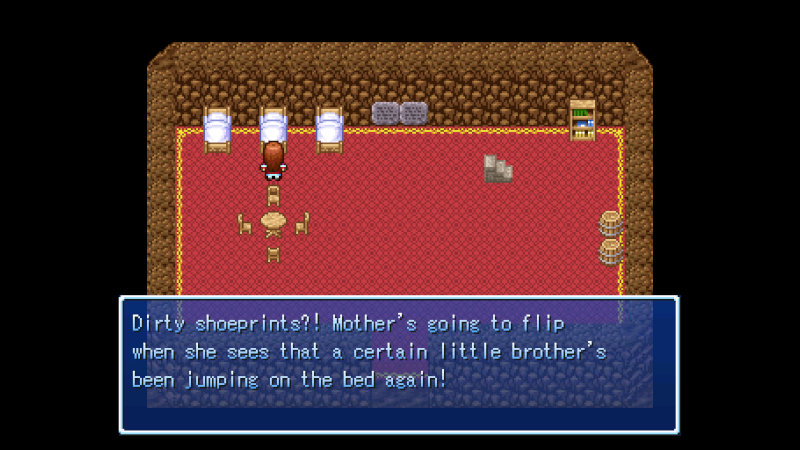 Neon has a mother, an elder sister who is already a Celestial Spiral Guard, and a mischievous little brother who keeps getting into trouble. The lore of Celestial Spiral Isle is also taking shape, with the islanders all revering an entity known as the Celestial Being (sound familiar? ), a former mortal who found ascension and became an Immortal; the islanders all believe that the Celestial Being was the first to ascend, hence the reason why she is revered by the islanders to such a degree. However, no-one knows her true name, though it would be plainly obvious to anyone from any other universe that she is called Marilina, as the entire world of Marlina seems to be named after her. Who's ready for a screenshot? 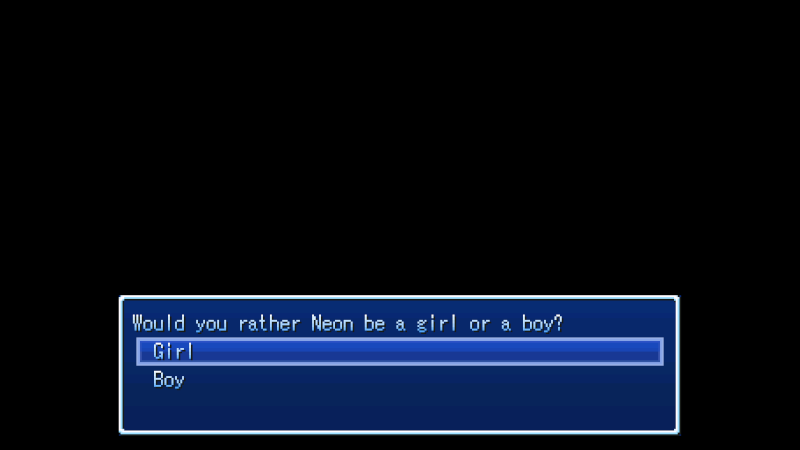 I want it to be clear that you can play as either a boy or a girl, meaning that you can make Neon's story your own. Ichigofan wrote: That's it? You tease. Well, the forum will only let me upload one screenshot to each post, and I didn't exactly want to make seven posts in a row. Forum rules and all that. The Nowits are an elderly couple who will pop up frequently during your travels, and it's possible that they're completely different people who just happen to look identical and share the same name. Mrs. Nowit was once an adventurer, whereas Old Man Nowit was a scholar. Every time Neon meets the (usually) kindly gent, he will tell you some information about the local area which could help the budding warrior in his/her journey. Just don't be rude to him. There's no telling how the old man will take it! Do you have any additional screenshot to share right now? Awesome! I can't wait to learn more about the game! @Clαππαd wrote: This is so neat! @Talesfanatic wrote: Awesome! I can't wait to learn more about the game! Thanks! I'll actually post some info right now, since you're hungry for more. The core elements are earth, fire, air and water, with the fusions of rock, elec, ice and wood also being recognised as honorary elements. For this reason, it is not uncommon for an elemental specialist such as a sorcerer to also possess some mastery of a fusion. These pairings are: Earth = Wood; Fire = Rock; Air = Elec; and Water = Ice. There are four other forces (sand, plasma, vapour and brine) which are dubbed "lesser fusions", as they behave too much like their main element to be considered unique: Earth = Sand; Fire = Plasma; Air = Vapour; and Water = Brine. For this reason, it is generally considered inaccurate for anyone to call them "elements", with other colloquial terms invented to describe them. In any case, each person is attributed to an element, which may be an important thing for anyone to know. The last four forces (light, dark, metal and energy) are similar to elements, but are completely different. Metal, for example, is a perfect fusion of all elements, whereas energy (sometimes called æther) is a powerful force which is absent of any elemental influence. Many spells belong to an element, and such a spell often does greater damage to a creature with a weakness to that element: an ice elemental, for instance, is greatly affected by a rock elemental spell, as rock is the natural opposite of ice. This means every element has an equal opposite: Earth = Air; Fire = Water; Rock = Ice; and Elec = Wood. Metal and energy are also considered equal opposites, as are light and dark. Though opposite-element weaknesses are true for elementals, other creatures may have alternative weaknesses, such as an arbour beast, which is aligned with wood, being susceptible to flame from a fire-based spell. Okay, it's time for some more screenshots! More screenshots to come. Stay tuned!